Tea pot Irish Christmas ornament wishes you Top O' The Mornin'. This Irish ornament is in the shape of a tea pot that is enhanced with a leprechaun wishing you top o' the mornin'. 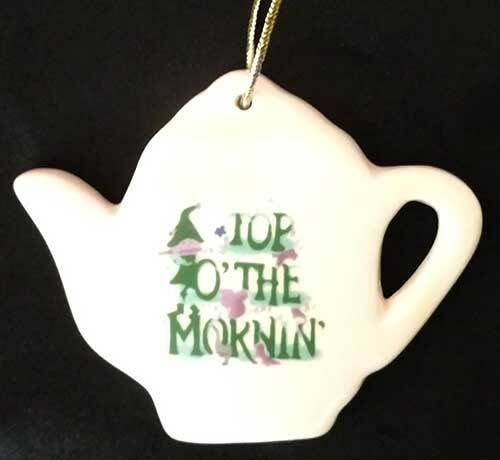 The Irish tea pot ornament is made of bone china and measures 3" wide x 2 1/2" tall. The Irish Christmas ornament is gift boxed, complements of The Irish Gift House.